Search engines are at the heart of any modern day marketing campaign. If you want to succeed and make money with your product or service, it is vital that you understand how the search engines — Google in particular — work and how to gain the advantage over your competition. And your competition online is not just your traditional competitors, it's everyone who can outrank you in Google. The running joke among search engine optimizers is that "SPAM" means Sites Positioned Above Mine. You must squash this "SPAM" to dominate in Google for the keywords that your target audience is searching for. If you aren't at the top of page one, you are essentially invisible. Why even have a website if no one can find it? There's a small, elite group of marketers that has cracked the code to getting to the top of Google search results for highly sought-after keywords. They understand that Search Engine Optimization, or "SEO", is both art and science, and it is fundamentally different from traditional marketing. Wouldn't you like to know why they're winning, what exactly they're doing, and how you can outrank them? This information-packed talk promises both SEO fundamentals as well as advanced tricks and tactics that only the elite SEO experts know. Think of Google as the operating system of the Internet, and you're about to crack the code to their top-secret algorithm. Join us in this fast-paced, no-holds-barred interactive presentation from SEO guru and O'Reilly author Stephan Spencer. 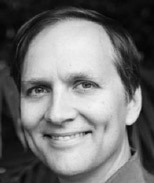 Stephan Spencer is a three-time O'Reilly author. He is co-author of the brand new third edition of The Art of SEO. He is author of Google Power Search and co-author of Social eCommerce. Stephan founded Netconcepts in 1995 and grew it into a multi-national SEO agency before selling it in 2010 to paid and organic search software/services agency Covario, which was in turn acquired in 2014 by ad agency conglomerate Dentsu Aegis. Recent clients of Stephan's include brands like Zappos, Sony, Quiksilver, CNBC, and Chanel, but also startups and nonprofits. Stephan is also the creator of Traffic Control, a three-day immersive SEO workshop, and the host of two podcast shows, The Optimized Geek and Marketing Speak.